Your work was outstanding. You were very prompt… getting the work done ahead of schedule. Thanks for everything. Vermont Granite Works House and Garden pieces are custom-crafted and designed for natural beauty to last for generations. Note: Prices may vary with each color. All colors may not be available. Prices may differ due to changing material costs. 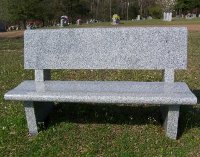 Beautiful granite benches can be a delight when put on your property. 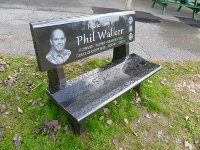 Sit and enjoy in a nice quiet area of your home garden or on your patio. What a nice way to enjoy lazy Summer Days!!! 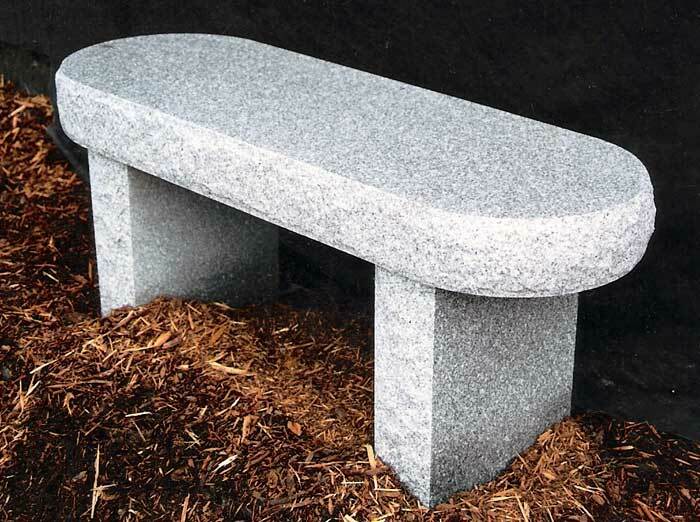 Beautiful, 4 foot in length, all polished granite bench with back - they can be engraved too! This would look great anywhere!!! 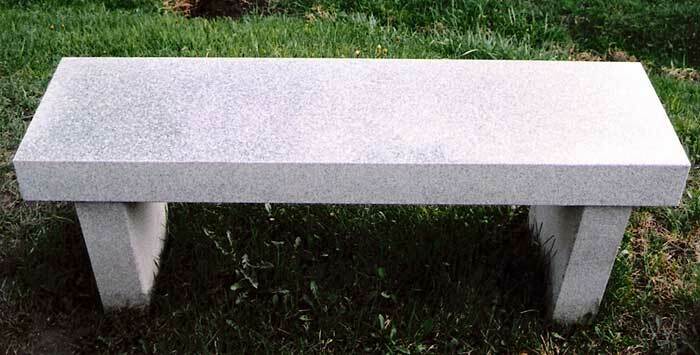 Custom Barre Gray Gray Granite Bench with Back, made right here in Barre, Vermont. Call or email for a quote. 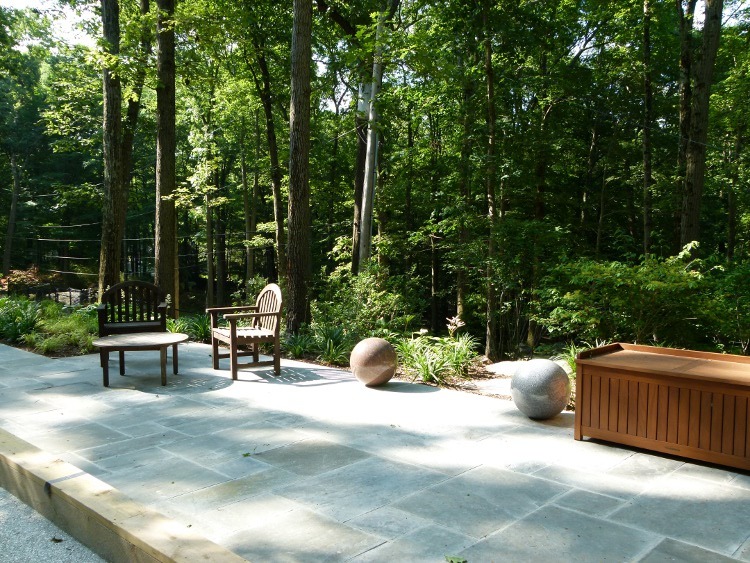 Complement your back yard with solid, yet elegant weather proof granite. Graceful rounded edges create a stylish backyard seat. 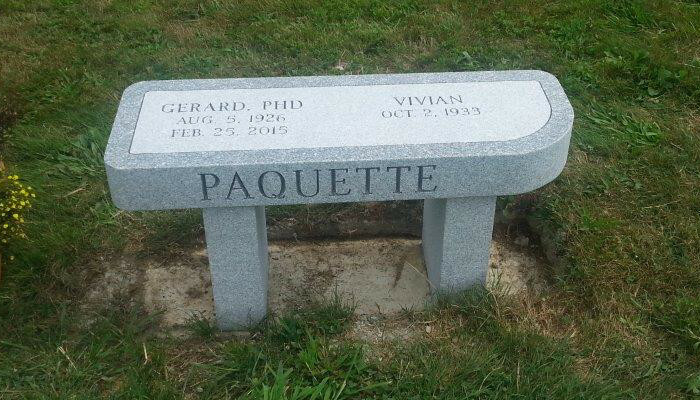 A talented Vermont artisan can add a beautiful custom etched scene to this elegant black granite bench. This will look like a million on your landscaped yard or pool-side patio. 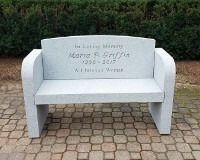 Let Vermont Granite Works help you make lasting memories with a special way to capture an important life event or memorialize a loved one with a hand crafted laser etched granite bench. 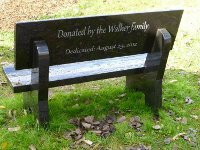 It will look beautiful on your property, at the cemetery or near a civic area or school. Contact us today for a quote…. You decide what would look best on your landscaping! 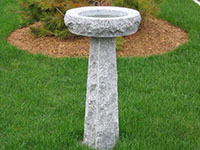 We have many different style birdbaths to choose from, prices start at 169.00 and go up. 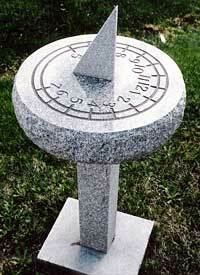 Dimensions for the top of the birdbaths- Granite 16" dia x 4" thick. 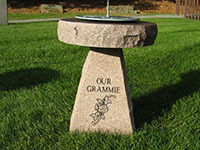 Design your own birdbath out of granite! Your feathered friends will love you when you put a birdbath in your backyard. 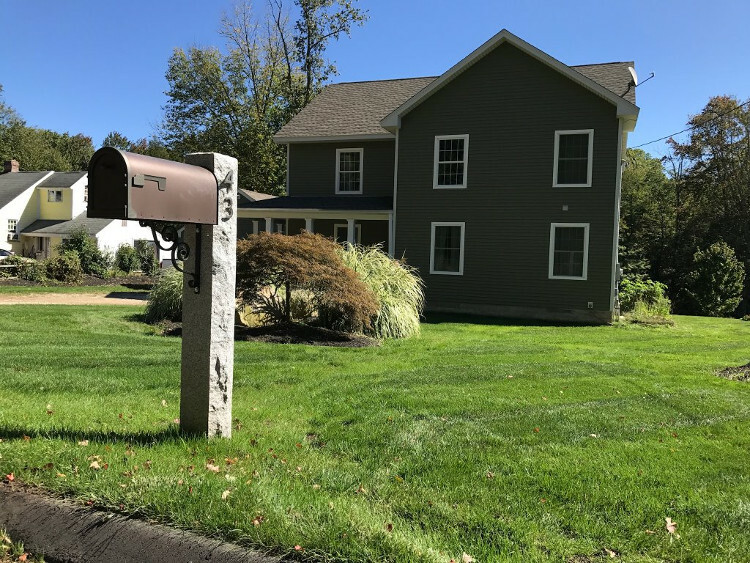 If you want to add a grand statement to your landscape let us make a granite address marker or granite house street number marker for your property. It will add a welcoming charm to your home. Contact us today. The snow plow won't know what hit it! 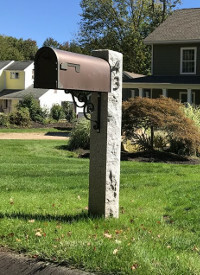 Mailbox brackets can be included at an additional cost. This is a timeless piece of art made entirely from granite. It will be the tock (whoops) talk of the town! 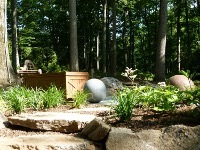 Granite Spheres to enhance your landscaping, your garden or your Bocce Ball Court! 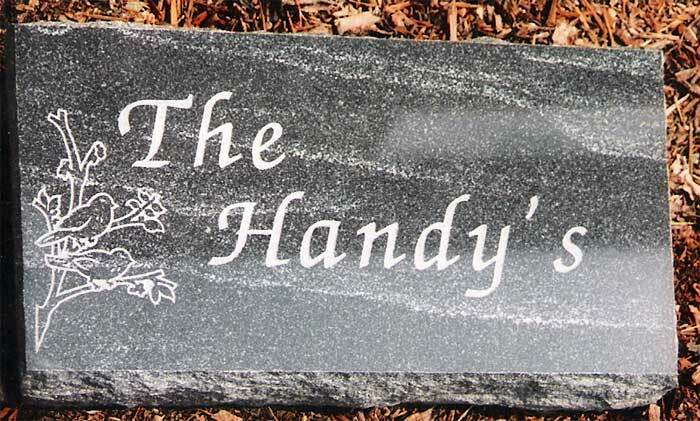 To find out more about our custom granite outdoor and garden products contact us today!